If you have crummy grapes, it’s hard to make a fabulous wine. It’s a tenet I know well. As a small-batch winemaker who shared my efforts with friends and family, I was sometimes frustrated by my inability to have input on the quality of grapes I received. My dream—like any winemaker’s—was to control the grapes. My wife’s dream, as she was looking down the barrel of my retirement, was to make sure I had something to do when I was no longer working so I wouldn’t drive her crazy. 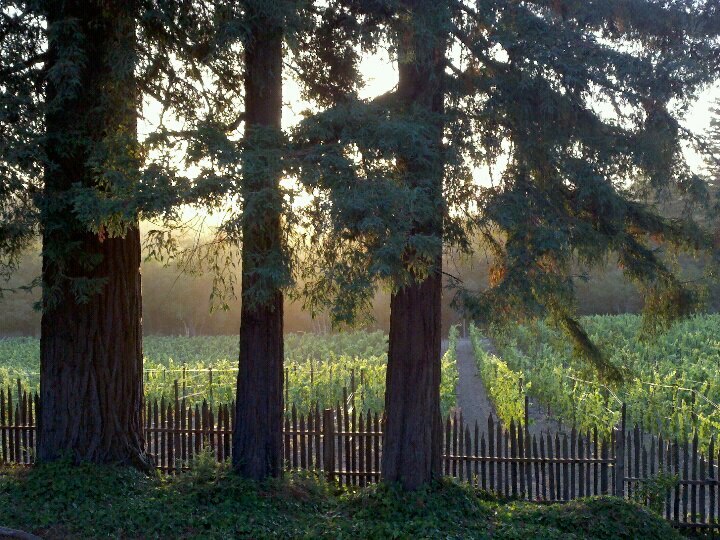 Putzing around in a quarter acre of grapes, somewhere in northern California…Wouldn’t that be a nice hobby? It took a free weekend, a phenomenal vineyard broker and the sudden availability of a property that hid its potential like buried treasure to turn my fanciful idea of a hobby into a professional passion. 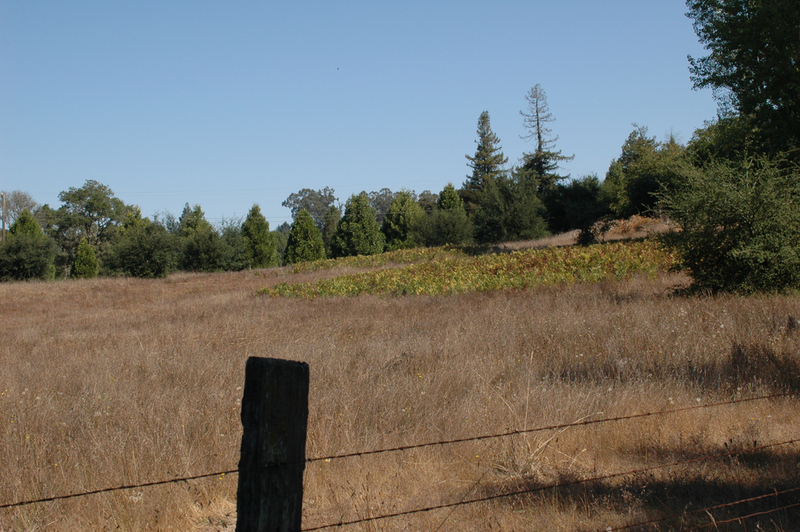 On a Sunday in the fall of 2009, we contacted vineyard broker David Murray about looking at available property in Sonoma, believing we’d just be taking a fun trip to wine country. We never imagined we could own land there. Dave told us he’d received a fax that morning about an available family farm in the Russian River Valley. It was the first property we looked at. 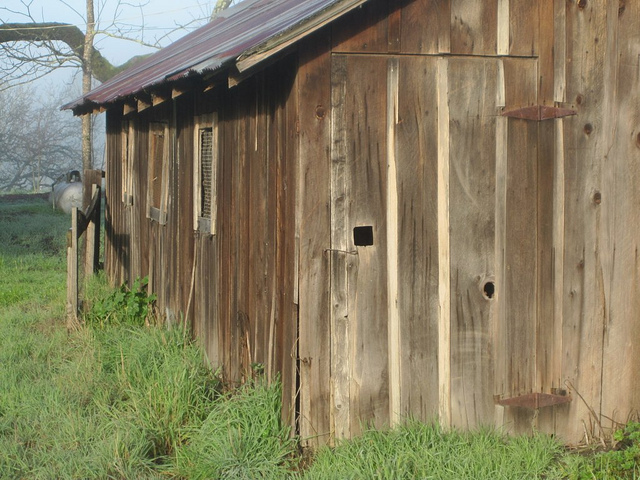 The former farm of Sam Crowder, who was known as the “Kiwi Man” at the local farmers market for the fruit he sold there, had become overgrown since Sam’s passing. The house was small and funky. But it was clean and the 6.5-acre property had something. The little house and five towering redwood trees stood at the top of the land, which sloped gently down to a row of trees and brush lining Laguna Road. Three pygmy donkeys stared at us through the neighbor’s fence. We looked at several other places that day, places with nicer homes or established vineyards. But at the end of the day, we asked Dave to take us back to the little property on Laguna Road. That night, we decided we had to have it. And although four other people made offers on the property, ours was accepted. When people who are connected to the wine industry come here to look at the place, they always say, “Wow, what a great spot.” They appreciate the aesthetics—the sweet house at the top of the rise, the five towering trees, the soft slope down to the main road—but what they’re really looking at is what you can’t see: the potential for great grapes. My experience has taught me the value of high-quality fruit. A blessed combination of luck and timing has given me a place to grow it.